The indian inferiority complex or slave mentality is a result of generations of brainwashing and cultivation of slave mindset in the community.Indians generally have disdain on everything indian and are engaged in excessive western culture worship. 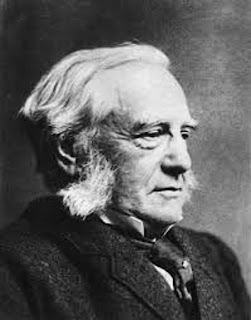 One man who is responsible for cultivating the attitude is Mr. Max Muller, a german born Orientalist who lived and studied in Britain.He never travelled to India. He did not knew Sanskrit. He wrote the translation of Vedas and other indian scriptures with the help of pundits from India. His notable work was Sacred Book of the East. His translation of the vedas are a poor work of translation.He did the crooked fake translation for the British who wanted to insult hinduism and push the christian missionary work under the British invasion of India. The invaded imperialist British paid him well to write translations of vedas which were false and illogical.Even in todays academic circles, the so called liberal individuals who have invaded the academic space are giving weightage to the Missionary version. It is based on his works, even today in schools of india, it is taught that Aryans were a race that came from Central Asia and invaded the country and drove the inhabitants Dravidians to the South.The West wanted to show the ancient Indian culture as one sprung up from the white skinned. Here are some letters of Max Mueller that proves his crooked ness. From the book "Life and Letters of Max Mueller"